World Rugby are poised to hold a series of key meetings in Kyoto in the build-up to the official pool draw for the 2019 World Cup on Wednesday (May 10). The draw for the tournament will take place at the State Guest House in the city, as Japan continues its countdown to becoming the first Asian nation to host the event. It will feature the top 12 teams who secured direct qualification from their positions at the 2015 tournament, along with eight qualifiers. New Zealand, England, Australia and Ireland are in the top band of seeds due their world rankings, with Scotland, Wales, South Africa and France in band two. Argentina, Georgia, Italy and hosts Japan will feature in band three, with the remaining two bands featuring qualifiers from regional, play-off and repechage events. Prior to the draw, the Rugby World Cup Board, the World Rugby Executive Committee and the World Rugby Council meetings will all take place. World Rugby said they will continue to make “strategic and consultative” decisions to safeguard the future prosperity of the sport. “This is an exciting and defining year for our sport as we look to further the competition and regulatory framework that will provide the platform for rugby to continue to sustainably grow in both established and emerging markets,” said Bill Beaumont, World Rugby chairman. “Set against a backdrop of strong participation and fan growth, we have achieved agreement on a long-term optimized global calendar that provides certainty and stability over the decade beyond Rugby World Cup 2019, which is a major milestone. “This week we will consider the game’s eligibility framework following a detailed review of the criteria governing international representation. “As rugby grows, we need to ensure that it continues to be relevant and inspiring to the next generation of players and fans. “Everyone has a say and everyone has a role to play in our future. Preparations for the 2019 Rugby World Cup will also be assessed, while an update will be provided on the 2023 bid process with France, Ireland and South Africa all in contention. The meetings come before the IMPACT Beyond Rugby World Cup 2019 project, which will be launched to help grow the sport in Asia. It is hoped one million players will be targeted by the start of the tournament. 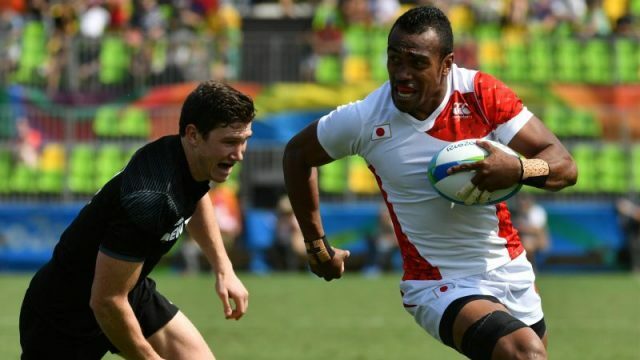 “We welcome these important meetings that consider the future of rugby, including here in Asia, being hosted in Japan alongside the Rugby World Cup 2019 pool draw,” said Akira Shimazu, Japan 2019’s chief executive. “The unique significance and opportunity of hosting Rugby World Cup 2019 in Japan lies in further spreading rugby in Asia and ensuring rugby is a truly global sport.